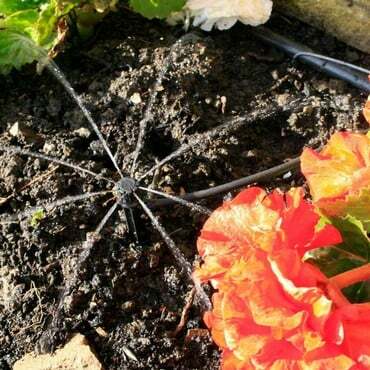 It’s time for a spot of tidying up in Stephanie’s Kitchen Garden. 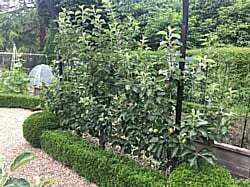 The hot summer weather, combined with irrigation and recent heavy rain have sent plants into a growth spurt, in particular our espalier fruit trees. We would normally be pruning these during August, but they have put on so much growth that we are going to tackle the job now. We will be pruning side shoots down to three leaves above the basal cluster. Shoots emerging from sideshoots will be pruned back to 1 leaf above the base. We already have an established framework of branches on our trees, but a couple of years ago we replaced their supports to taller ones. This allows us the opportunity to train more horizontal branches from the tree and we will be tying these in to increase the height of the plants. 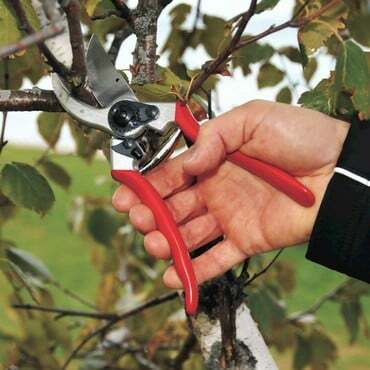 We will also be pruning our pear arch using the same principles. Pruning the trees is a hugely satisfying job as the transformation is quite dramatic. It is lovely to see the neat framework restored and to allow light on to the swelling fruits. We will probably need to carry out a secondary pruning in early September on any growth the tree puts on during the rest of the summer. 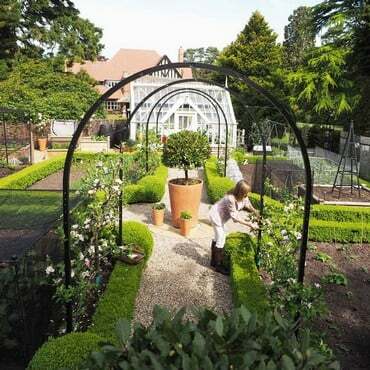 If you are a neat and tidy gardener, this is definitely a job for you!